Free stuff motivates. I think we can all agree with that. During college, it was all about finding free food. It almost didn’t matter what the event was or the organization holding it or even the cause that was being supported. 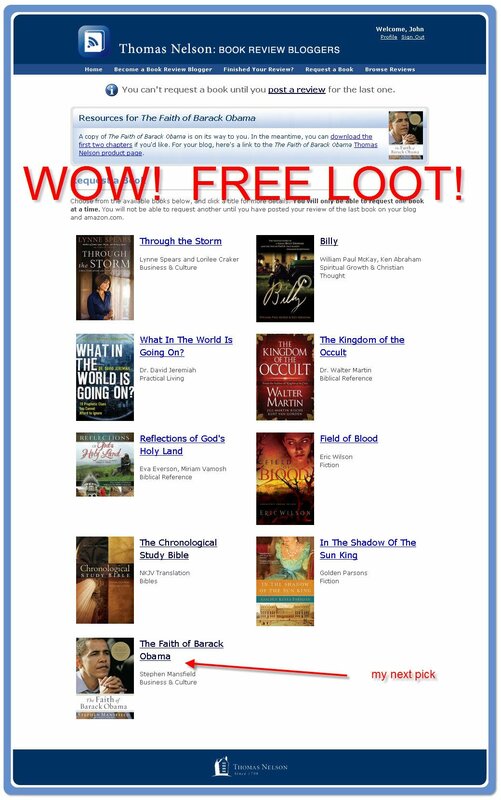 And what’s so great is that the internet should be a prime resource for not only giving away “free” stuff but also providing added benefits for marketing (if you can find a creative and easy way to do it). Not only do they get ratings and reviews on Amazon, one of the most visited online bookseller in the entire world, they’ve injected themselves into the blogging space where viral and grassroots marketing can blaze through the interwebs faster than a California firestorm (and that can be a good thing or a bad thing, like the SoCal fires of course). But the point is that people are talking about it. 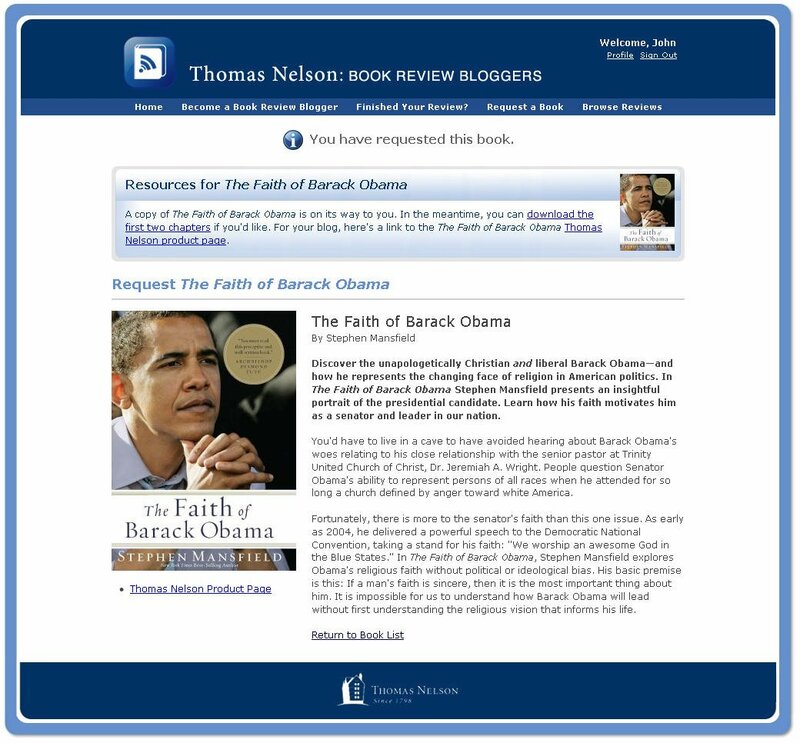 I’m not familiar with the costs associated with publishing a book (perhaps some day) but I can’t imagine that Thomas Nelson and co are losing anything but pennies on the dollar for their free reviews (but shipping might be a pain in the tookus). So go ahead and signup. It’s free, takes a second, and then get your phat-free-loot-on. 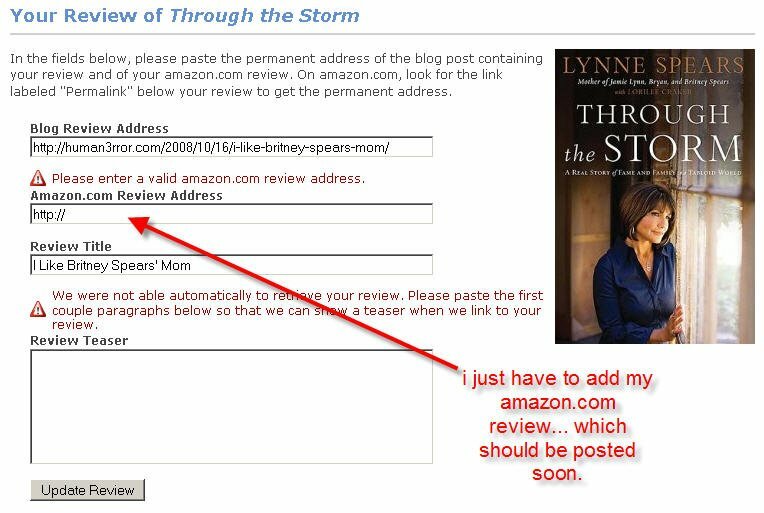 I’ve already done my first review on Lynne Spears Through the Storm… easy cakes! If you want even more information, check out Michael Hyatt’s (President and CEO) blog post about it. So do some creative thinking this week about your ministry and online agenda for your organization. Does it include giving away something for “free”? Is this a reasonable initiative from a financial, business, marketing, and strategic perspective? (One size doesn’t fit all, of course). John, thanks for the heads up on this. I might go sign up and do some book reviewin' myself. sweet! keep me posted on what you're reading… have fun with it. Looks like an intriguing work of fiction. I read your full review of Through The Storm. Very nice. That is a very interesting concept. I know a lot of (web marketing/new rules marketing) authors give away pdf versions of their books for free figuring that a percentage of readers will write reviews. I figure this will be a successful venture for TN Publishers. I think you are right, giving anything away for free will naturally draw people to your products. Totally agree. I think it will definitely be successful.